Inside SuperValu Shopping Centre, Lorcan Avenue, Santry, Dublin 9. In 1979 at the age of fifteen, I started a five year apprenticeship in an old jewellery manufacturing company called ‘Irish Diamond Jewellers’ based in Dublins South Richmond Street. There I learned the trade of a goldsmith and all the basics in the industry. In the 80s’ as a goldsmith I had to be creative and innovative in what I did, leading me to get more experience in different manufacturing companies. For the next 3 years I worked in DM Egans behind Dublin Castle, but like many companies at the time, it closed. 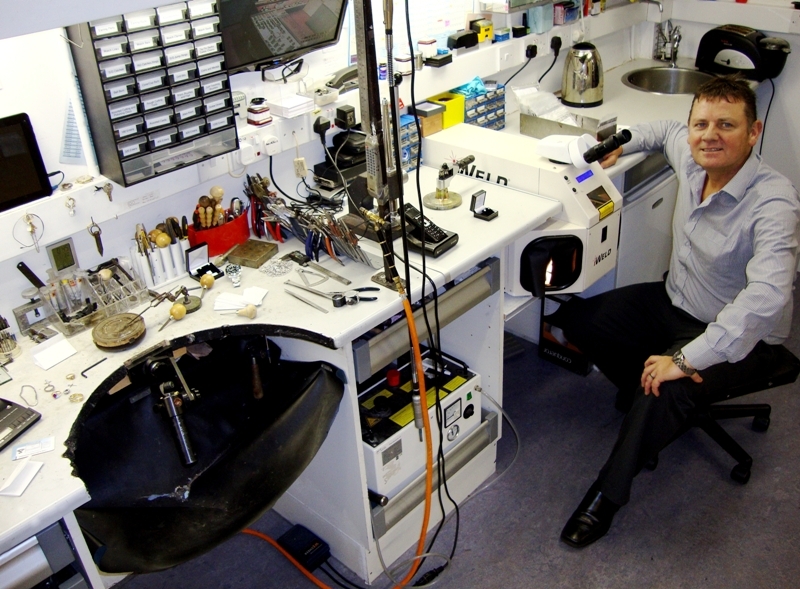 After working in various jewellers, I decided to expand my knowledge and went to Hatton Garden in London to work in the small back street workshops. Although after a while, the lour of home became too much, and in 1989 I returned to Ireland. I then went into partnership with my older brother Denis Murphy to set up ‘Murphy Brothers Jewellers’ in Shantalla Road, Dublin. Things were going well and after about ten years, we felt that the company was strong enough to set up business individually. Denis went on to set up Abana.ie in the city centre. But, I liked the more convenient location of Santry and the idea of staying their local neighbourhood jeweller, so I set up on my own as ‘Christopher Murphy Jewellers’. a consultation room with an attached fully fitted modern workshop. After being in the area for the last thirty years, I’m certainly looking forward to the next thirty. art and design course in 2006. During this time I became fascinated with metal work, photography and design. My new found interest encouraged me to apply for a jewellery manufacturing operative traineeship with Fás. During this time in Fás, I developed and refined my skills and became top of my class. I began working at Christopher Murphy Jewellers as part of my six month work placement with Fás. Upon completion, Christopher offered me a permanent work position within the company. accounts and website management, I.T., photography, CAD and jewellery design. I love my job and am glad I have found a career that both fascinates and challenges me every day.